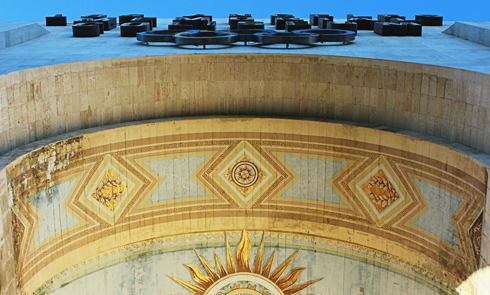 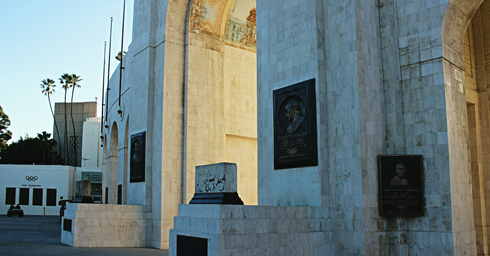 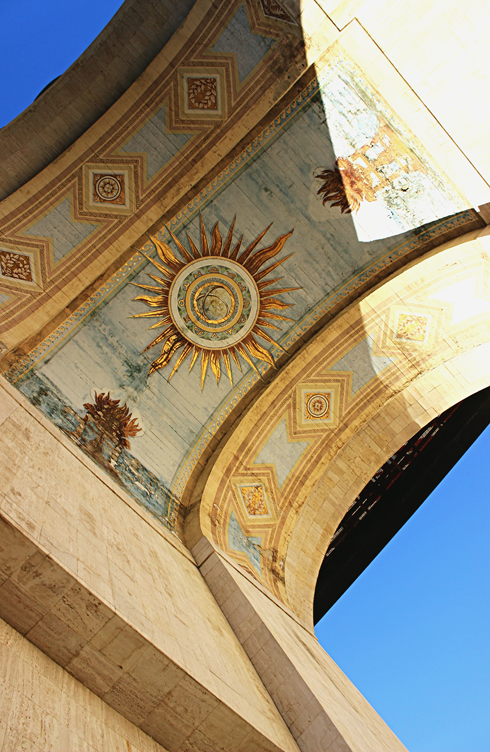 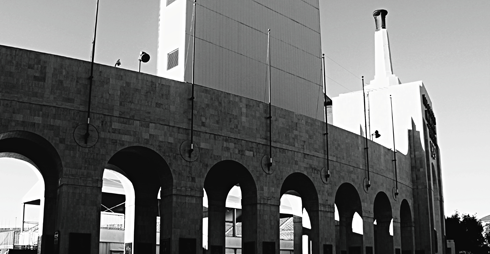 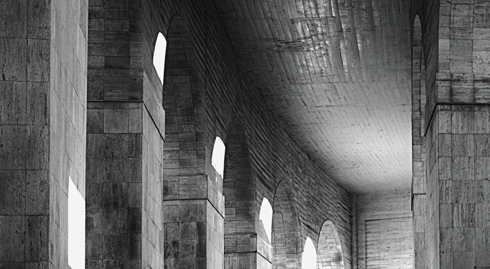 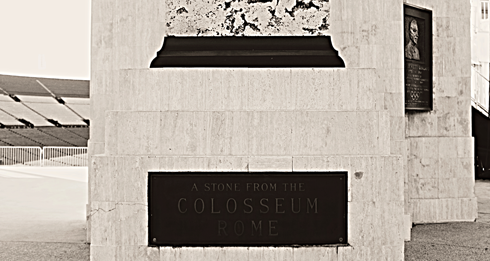 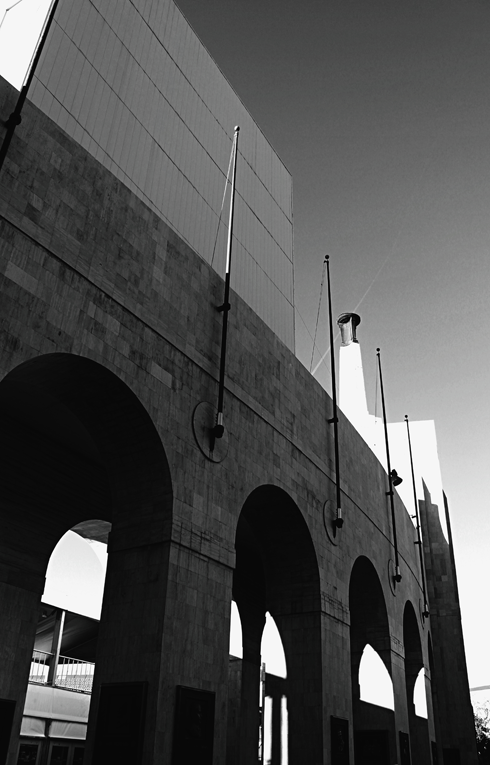 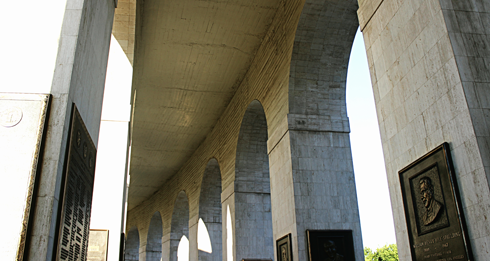 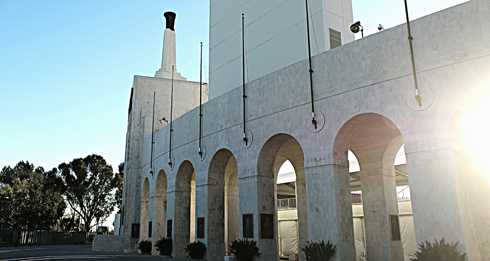 I was alone as I walked under the iconic arch that marks the entrance to the Los Angeles Memorial Coliseum. 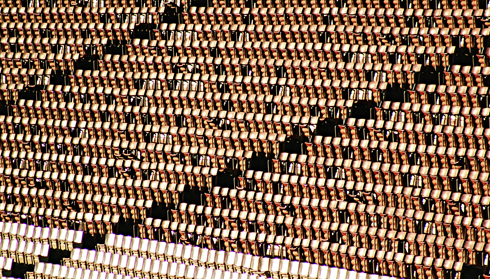 It was in that moment that it struck me what an interesting contrast it was to be looking across a sea of empty seats and reflecting on the hundreds of thousands of people who had been here and done this before me. 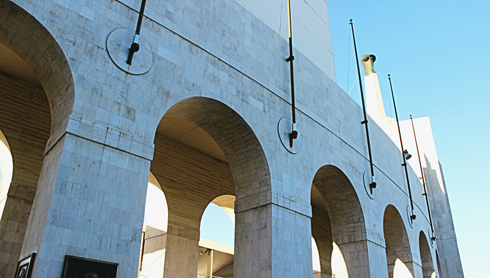 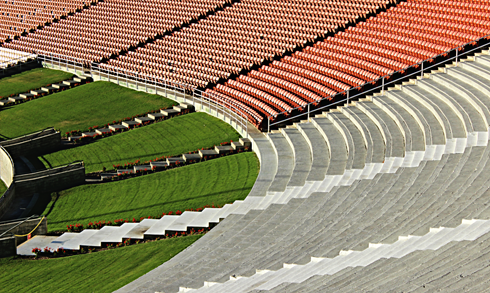 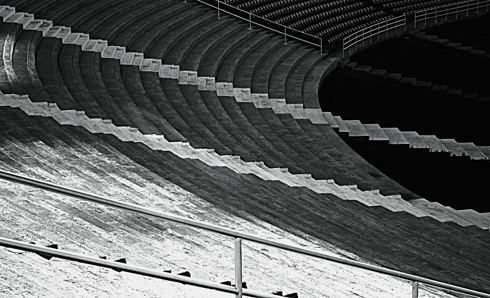 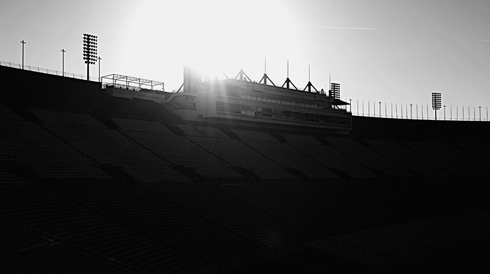 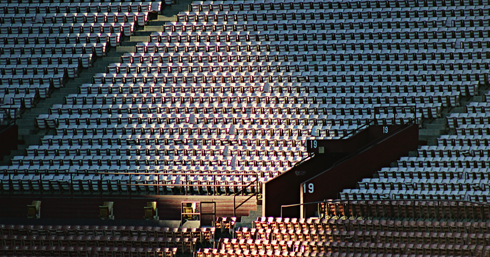 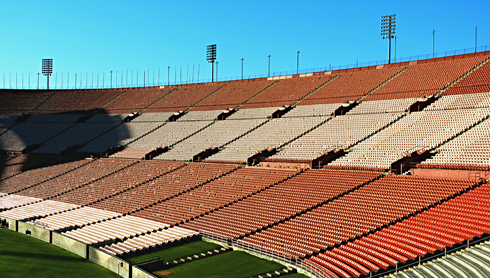 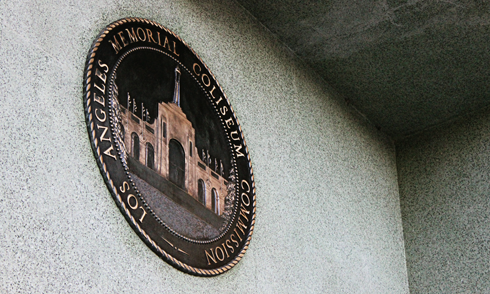 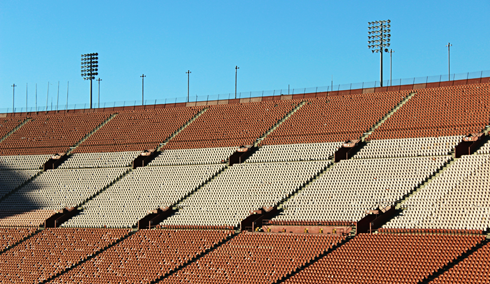 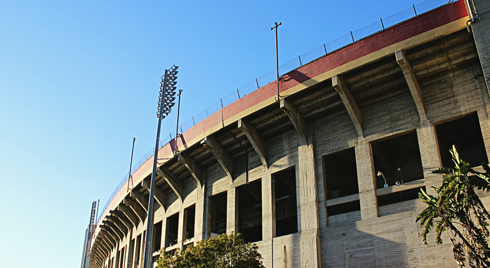 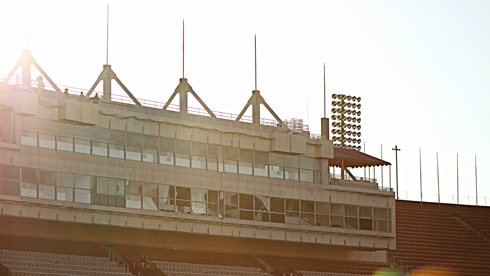 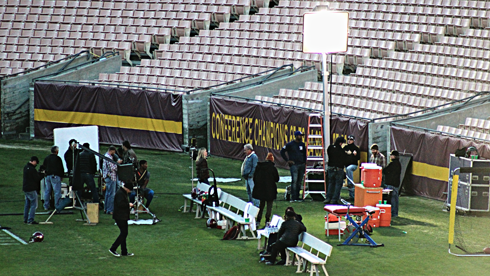 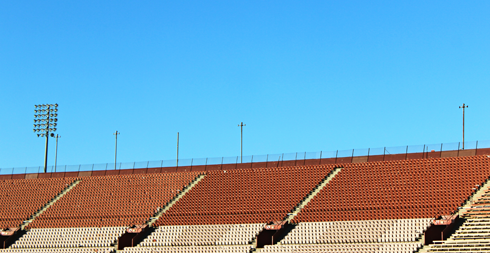 Although some may see it just as a stadium, the Los Angeles Memorial Coliseum is one place in the city that seems truly historical. 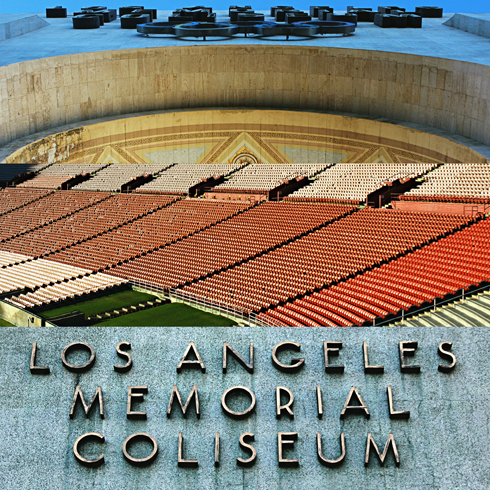 Artists like the Rolling Stones, Bruce Springsteen, Metallica, U2, and Pink Flloyd have all played massive concerts here. 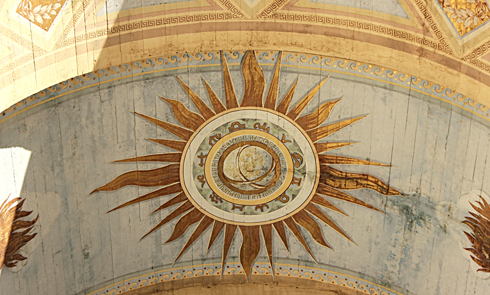 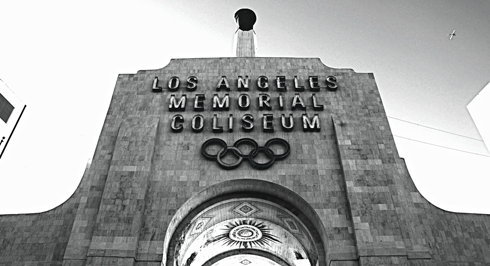 Two Super Bowls (I and VII), one World Series (1959), the 1976 Bicentennial Spectacular, and a visit from Pope John Paul II in 1987 were also monumental events. 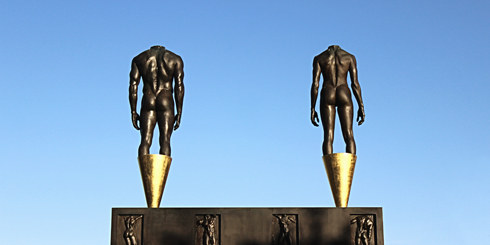 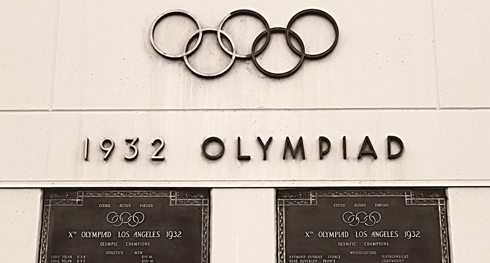 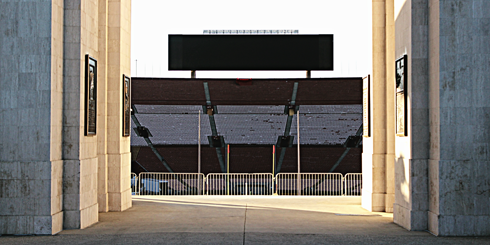 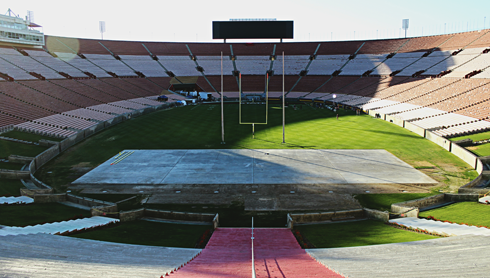 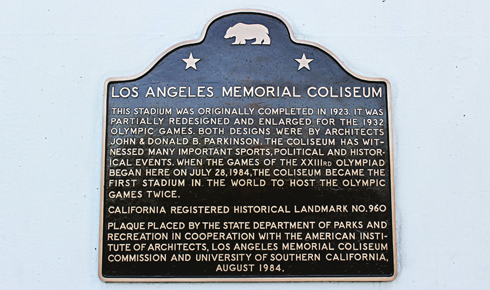 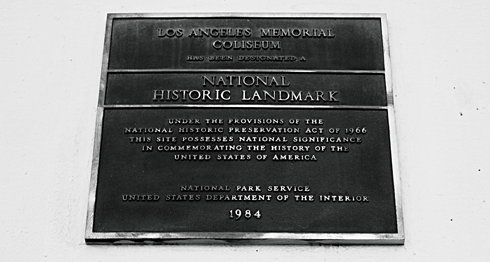 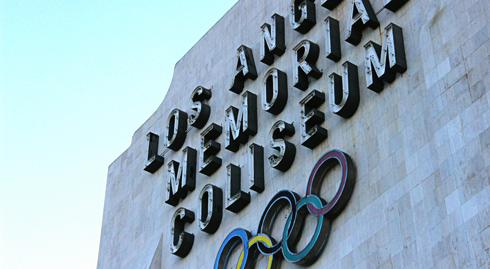 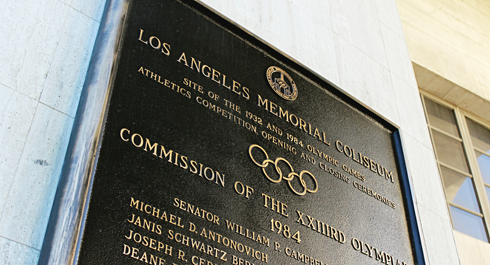 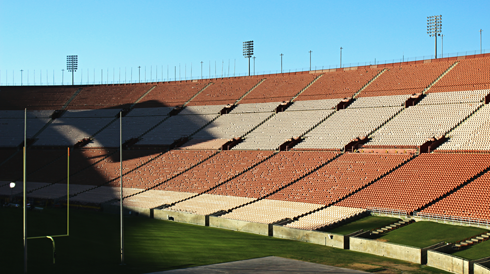 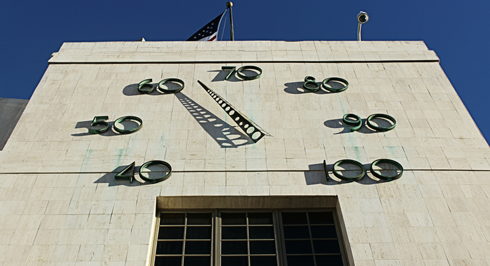 However, the Los Angeles Memorial Coliseum has the even rarer distinction of being the only facility in the world to play host to two Olympiads (1932 and 1984). 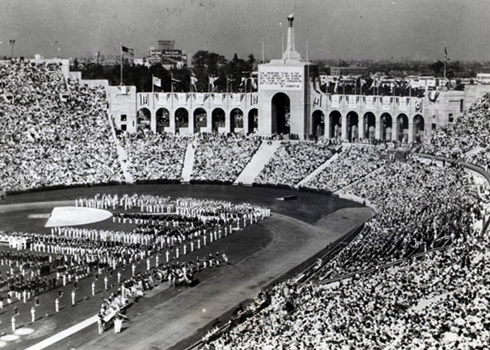 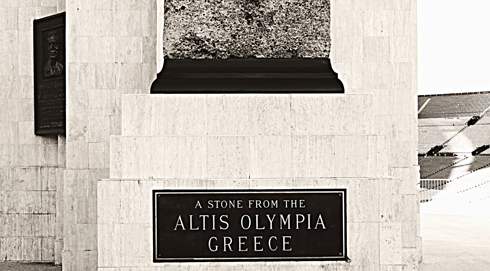 Opening ceremonies of the 1932 Olympic Games. 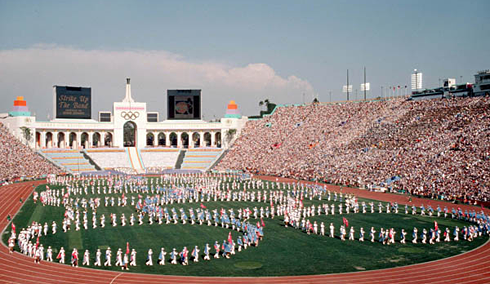 Opening ceremonies of the 1984 Summer Olympics.